Check out our upcoming events for Local Enterprise Week running from 4th to 8th March 2019....Not to be missed! Information for Irish Exporters following the UK vote to leave the European Union. Whether you are looking to start a small business or are currently running one, our practical courses will help you fill specific knowledge gaps to allow you give your business every chance for success in 2019. Kerry Local Enterprise Office is open Monday to Friday, 9am to 5pm. Our aim is to provide you with a single point of contact for all the information, advice and support you need for your business. Contact us today for assistance. 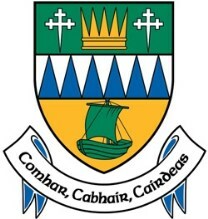 Kerry County Council Local Enterprise Office is based in County Buildings in Tralee but provides a service across the county. This office is an essential resource for the small business sector in County Kerry. Our role is to support start up and growing businesses. Our office has a business training and financial support capacity. Small businesses are supported to maintain and build on a thriving and local economy to create sustainable jobs. Our staff are here to assist businesses be successful and develop. You can contact us directly to discuss your business idea development, your business expansion, your business relocation and your business training needs. Local Enterprise Office Kerry is the first stop shop to provide support and services to start, grow and develop micro business in Kerry.